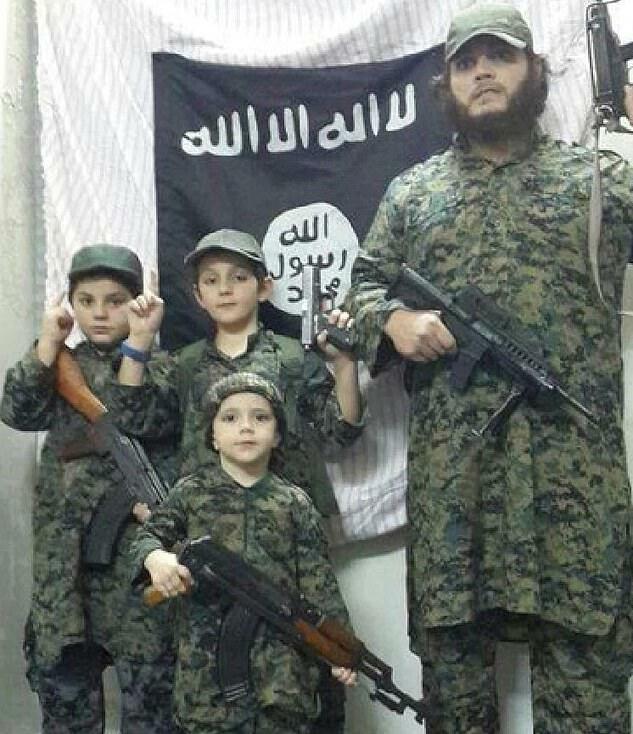 Australian ISIS fighter Khaled Sharrouf’s three orphaned children have said they are desperate to come home. 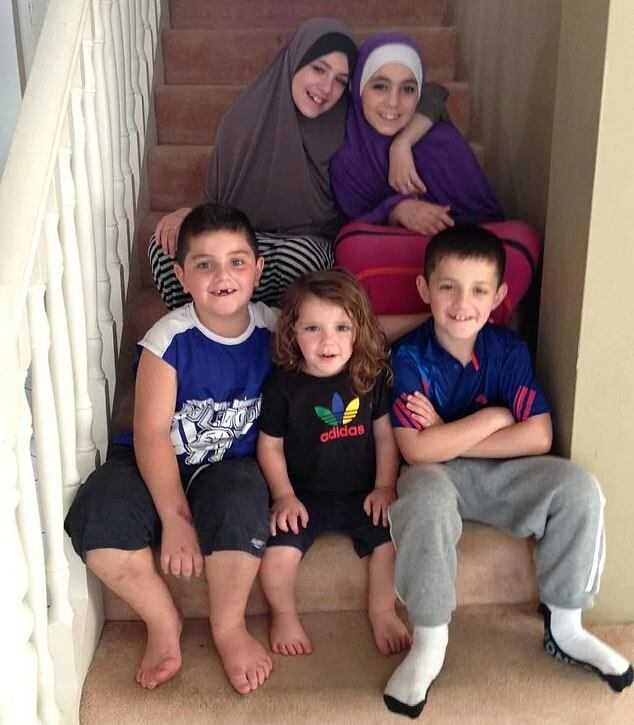 Zaynab, 17, Hoda, 15, and Hamza, eight, were taken by their mother from Sydney to join Islamic State in 2014. After the defeat of ISIS last year, they are now in the Al-Hawl refugee camp in northern Syria. 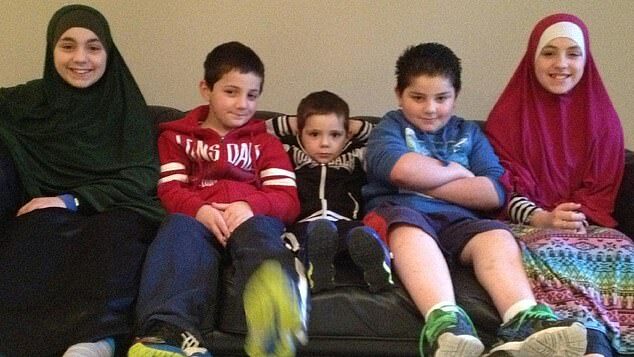 The three children, whose parents and two brothers are dead, are begging to be allowed back in to Australia. ‘I just want to get out of here,’ Zaynab told the ABC’s Four Corners. The 17-year-old is looking after her daughters Ayesha, three, and Fatima, two, and is about to give birth to her third child while suffering from dysentery and severe anaemia. She said she wanted to flee ISIS sooner but feared being caught and tortured as punishment. ‘We’ve been wanting to come home for a very long time, but we were just scared,’ she said. She said after leaving the last ISIS stronghold of Baghouz, the siblings spent a few nights in the freezing desert before American troops found them and took them to the refugee camp. ‘I thought I was going to die from the cold,’ she said. Hoda said she was the first to leave Baghouz before her siblings followed. The 15-year-old, who was shot in the leg 18 months ago, said she kept falling over as she walked up a mountainside and had to be helped to her feet by others fleeing. Should Khaled Sharrouf’s orphans be allowed back into Australia? The children’s Sydney-based mother, Tara Nettleton, smuggled them out of Australia after her husband had already left to join the caliphate. Hoda said the children had no say in the matter. ‘When my Mum told me we were in Syria I started crying. I asked to go home every five seconds,’ she said. The children’s maternal grandmother, Karen Nettleton, is trying to help bring them home. 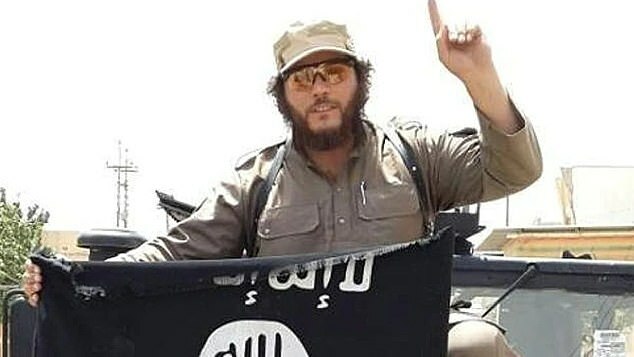 Khaled Sharrouf became Australia’s most notorious home grown terrorist after images circulated of him and his two sons in 2014 embracing their new lifestyle. In one of the photos, his son Abdullah, then nine, posed with a severed head of a soldier. In 2015, reports emerged that the eldest daughter Zaynab aged 13 married her father’s best friend, Mohamed Eloma. Elomar is believed to have died in an airstrike in 2015. Nettleton is believed to have died from complications with an illness in 2016, while Sharrouf and his two eldest sons were believed to have been killed in a targeted airstrike in 2017 near Raqqa. Among nine Australian ISIS families in the Al-Hawl camp, there are 19 children; five of which are under the age of two and another 12 under the age of 10. Home Affairs Minister Peter Dutton has indicated his desire to keep terrorists off Australian soil. ‘Australian officials cannot ­facilitate the safe passage of ­people out of the conflict zones,’ a spokesman for the government said. ‘Anyone fighting with or providing support or associating with ISIS or other terrorist groups has committed a serious crime and will face the consequences should they return to Australia. Watch Orphans of ISIS on Four Corners at 8:30pm on ABC TV.